Radz 4-In-1 Transformers Candy has joined hands with many other products showcasing the mysterious new character artwork featuring updated G1 designs. By comparing the new images unearthed by 2005 Boards Member Smitty.1981 with the newly revealed Packaging Art, we can see a clear similarity between the two. Packaged with the “blind-bagged” Radz 4-In-1 Transformers Candy comes a packet of candy (obviously), 5 sets of stickers featuring new character art, a poster of a random character from the line and a Transformers Keytag. You can check out all the images, an unpacking video and a couple of comparison pics, after the jump. Lol not to be mean but you realize this is a tf fan site right? Meaning a large majority have seen G1. It says that they created their account yesterday. This fits with the rumors of the next cartoon being a G1 reboot/remake. And frankly given how many different things they've tried to do, it might be interesting to see things really go back to basics. 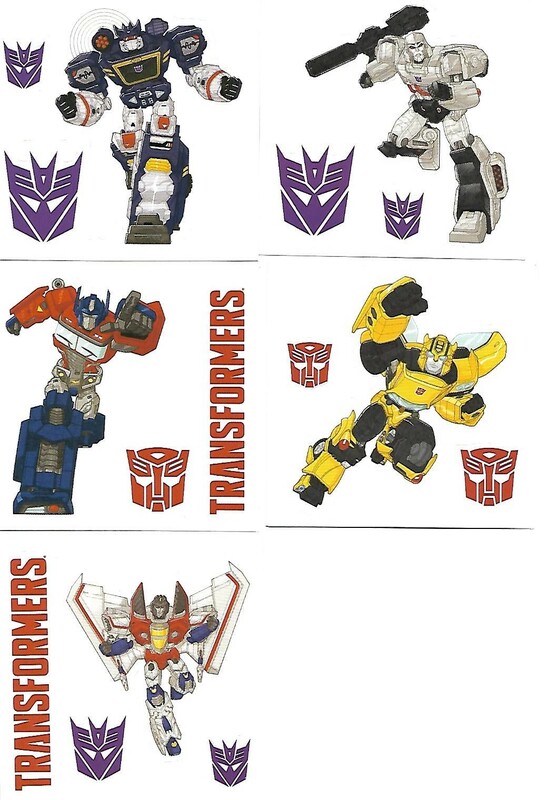 I like all of them except for Starscream…his body looks fine but his wings look way too big for his body. Although maybe that design will grow on me. Guys these are NOT new designs. These are the original bots from the transformers movie ORIGINAL MOVIE. Nobody im guessing has seen that or remembers ? Look it up its half way better than amy of these new ones. Nobody watched the original series with these guys in it im guessing. These bots were designed in the 1980s. honestly the only one I don't like is Megatron, Idk why but he looks … "meh"… they can do better… Idk. I find your lack of IDW disturbing. RIP Aligned Universe, with all your cool characters and story arcs. I can't wait to watch my youth replayed with more pixels and panel lines that don't make sense. I get what you're saying, but yes, these ARE new designs. New versions of a classic design for most of the characters. Soundwave is a pretty obvious example, given that in the 80's he was a boombox and now he is an SUV. New design. If these are not the new toon designs, then I think that, at the very least, Hasbro might be testing the waters to see how we respond. Personally, I don't hate these at all. In fact, I am intrigued. 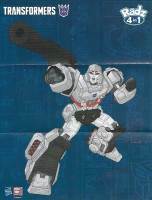 Obviously there seems to be a return to G1 with some IDW influence as well. If these designs are supported (and support) a truly inspired, intelligent, quality toon with a heart and soul and a genuine understanding and fondness for the history of the franchise and the characters, then, I will truly be happy. This really looks promising, except they are still trying to make Bumblebee into Sideswipe/Prowl/Hot Rod, something he's not and will never be. Lose the door wings and the warrior vibe – his design lacks character, much like he does now. Boring, stereotypical, and unappealing. I love the other 4 though. Still really digging that Optimus design, but megs looks great too. I'm disappointed that he's a tank, again. I think jet suits him much better. These designs are pretty boring honestly. It feels like a step down from Prime or Animated, which both tried something new in their Starscream and Soundwave designs, and even the UT had more original ideas for characters, like trying an Optimus Prime without the window-chest. Maybe it\'s just the style, but none of these stand out to me whatsoever. Out of curiosity — what section of Target (candy, toys, or the wall near registers with the magic/sports cards)? I found them in the toy isle but YMMV. Huh, I'm actually really into these designs? Def excited to see what kind of toys we get from these. Hopefully in terms of quality they'll skew more towards current generations/the more recent RiD toys as opposed to the earlier RiD stuff.